Have you scanned a quick response (QR) code lately? If you're like most people, probably not. According to Adobe’s 2013 Mobile Consumer Survey, a mere 37% of young adults and 32% of those who could be described as middle aged have interacted with a QR code in the past three months – which is fewer than in 2012. Don't write off QR codes just yet, though. Considering that 2014 has been coined the year of mobile thanks to device numbers cresting 2 billion globally, it could just be that the world is finally ready for QR codes. After all, QR codes have actually been around since 1994, invented by Japanese auto parts manufacturer Denso Wave, a subsidiary of Toyota, to track production and scan components. Fast forward to 2010 and suddenly they're all over t-shirts, billboards, buses and even produce stickers. The problem was that most people never knew quite what to make of them, at one point they were almost dead. To scan a QR code, you needed to download an app and then what? Consumers young and old were too quick to disregard QR codes as something akin to bar codes – useful for retailers, maybe, but fine to ignore. QR codes are similar to regular UPC barcodes, except they can hold approximately 350 times more information than regular barcodes. This allows marketers and advertisers to create a lush digital experience for a hardcopy ad. QR codes also allow for additional information to be easily accessible. For instance, if Skyy introduced a new flavor of vodka and a poster ad had a simple image of the new bottle ad a QR code, the QR code could contain recipe information that can be shared via social media, where to purchase the vodka, price information, etc. No, absolutely not. More people with the LG2, iPhone 5s and new Galaxy Note 10.1 – all devices are capable of scanning QR codes with a single app download – means more opportunities for marketers to get them right in 2014. And with service providers such as T-Mobile offering unlimited 4G LTE, people are able to access internet and QR codes anywhere. But linking a QR code to a website or using it to dial a phone number is so 2010. Using QR codes to give customers coupons when they encounter an ad, exciting extras at events (i.e., song or video downloads) or something to do while waiting at bus stops and subway platforms (think mini games) is a must if the goal is getting people to buy into what for many remains an unfamiliar technology. The QR codes were invented by Denso Corporation in 1994 for automotive industry to track vehicles and parts during manufacturing. Over the decades it has been used for advertising and marketing in almost all industries. With recent evolution of smart phones the popularity of QR codes has increased drastically. For marketers to succeed at making QR codes the wave of the future instead of something for the history books, there needs to be best practices in place. QR codes as eye-catching gimmick? No. That ship has sailed – and sunk, considering how many people still don't know what to do with them. QR codes that lead to compelling context-driven mobile experiences? Maybe. But do it right. No more QR codes on unscannable spots like the sides of trucks speeding down the highway or sports stars' backs. No more QR codes that do nothing more than open websites. They should be a shortcut to something exclusive, cool, fun or desirable – like when Starbucks teamed up with Lady Gaga to create a digital scavenger hunt that led to new release streaming privileges. In other words, there needs to be a pot of gold at the end of the QR code rainbow. The bottom line is that QR codes are starting to have to compete against things like invisible ink that can interact with touch screens and stickers that trigger mobile interactions without any scanning necessary. For QR codes to stick around and thrive in the mobile advertising environment, the experience is going to have to be seamless, engaging and easy to be worth the consumer's precious time. Where To Find QR Codes? As stated, QR codes are largely used with marketing and advertising efforts. It ties the hardcopy marketing/advertising collateral with the digital world with a simple click of the button. Go QR is a popular place to generate a QR code in browser. This application supports download of QR code in popular image formats such as PNG, JPEG, SVG and EPS. QR Stuff is a web based application that allows you to select variety of input data and create a QR code for it. Kaywa QR Code Generator is a web based generator that allows you to select variety of input data and create a QR code for it. This requires you to sign up. BeQRious QR Code Generator is a free web based generator that allows you to select variety of input data and create a QR code for it. This also has a option of premium feature to track your QR code usage. BeeTagg QR Code Generator is a free web based generator that allows you to create static QR code for it. This also has a option of premium feature to create dynamic QR code where you can tag, track and search your QR code. BeeTagg QR Code Generator is a free web based generator that has a unique feature of color and picture background for your QR code. You choose any color for your QR code image using a color palate. It also provides a web based link for the generated QR code image. QR Code Generator is a free android app to generate QR code image on your mobile device. QR Droid QR Droid is a another android app that you can freely download from google app store and use to generate quick QR code. Qrafter Qrafter is a free iOS app for QR Code and Barcode reading and generation. QR Code Maker QR Code Maker is a simple app on iOS devices that can create and save QR code on your photo library. QR Code Creator Plus QR Code Creator Plus is a quick generator that is available for free download on iOS app store. QR Code Reader & Generator QR Code Reader & Generator is a free app that can generate as well as read the QR codes. Quick QR Quick QR is arguably the fastest QR code generator and reader on iOS devices. QR Mate QR Mate is a simple yet powerful windows phone app to create QR codes. 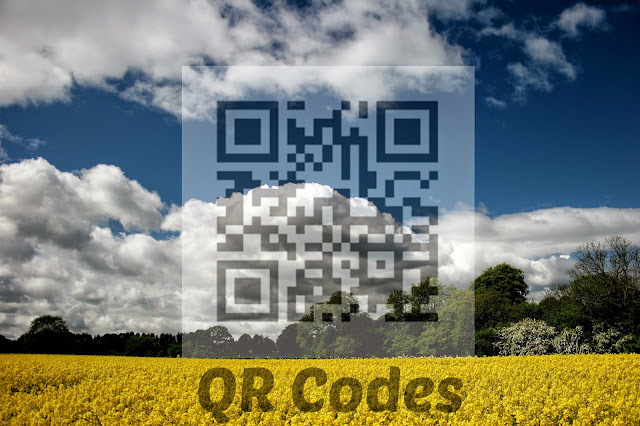 QR Creator QR Creator is simplest QR code creator app available for free on windows devices. QR Codes Generator QR Codes Generator is a free windows phone app to generate QR codes. How To Read QR Codes? QR Droid: This app transforms an Android-powered device into a power scanning utility. QR Droid successfully allows users to scan, interact, generate, share and decode QR codes, wherever they may be. Barcode Scanner: Thanks to ZXing Team, the Barcode Scanner for Android allows Android users to scan, decode and process any type of code (regular barcode or QR), which makes accessing information via mobile easy as point, click and scan. Scan With so many apps and programs out there to read QR codes, it can be difficult to find the right one for you. Well, if simplicity and easy usability is what you are looking for, Scan is the app for you. It does one job and one job swimmingly well. Download, find a QR code, scan and done! QR Reader This high-performance QR code reader lets users scan QR codes with no hassle. It can also create PDF files with the scan to PDF feature. Red Laser can read barcodes, QR codes. This is also a good app as a quick shopping assistant. KwiQR KwiQR is is a free windows 8 phone app that can be used to scan QR codes using phone camera lens. QRReader QRReader is another free windows phone app that can be used to scan QR codes. For a more in-depth list of QR code readers, check out this article, which features more apps and programs to read QR codes for a myriad of devices.